Mijas, the jewel in Andalucía’s crown, the town all tourists with a camera must visit and take photos of the church in the centre of the town while remaining totally oblivious to the fact that they are standing on a road and people in cars are trying to get on with their everyday lives! OK, enough ranting for one day, but if you visit Mijas Pueblo, you will know exactly what I am saying. The town offers terrific views over Fuengirola and over the Mediterranean sea as well as on a clear day being privileged enough to be able to see straight into the Moroccan coast line. 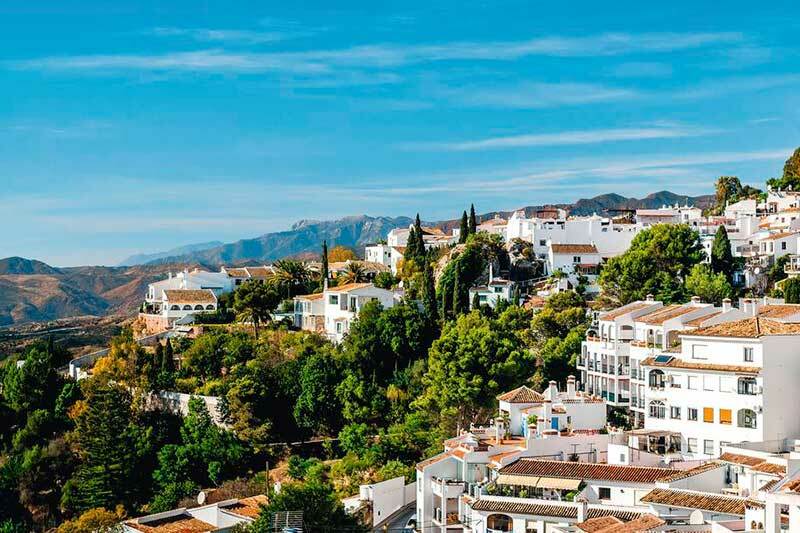 One of the best times of the year to visit Mijas is during winter which is when most tourists have gone and the streets are relatively empty, however, this is a little bit of a double edged sword as all the visitors to Mijas give it a great atmosphere. There are numerous places to visit in Mijas such as the Bull ring, the square and of course, it would not be Mijas if you didn’t see the donkey and cart. within the Municipality of Mijas, in a manner somewhat similar to Benalmadena, Mijas Municipality is split into Mijas Costa and Mijas Pueblo. The costa is not quite on the coast, as such as it is neighbouring with Fuengirola, it is on the coastal side where you will find the vast majority of new construction and new complexes, it would be fair to say that the entire area is a newly built expansion to Mijas as a response to being able to fulfil the demand for property boom of the late 90’s and early 2000.